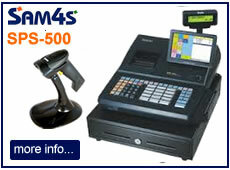 We supply Point of Sale (POS) systems for newagents / CTN. Whether you run a small independent newsagents or operate a chain of newsagent outlets, we have a number of different epos systems to suit various newsagent business requirements and budgets. 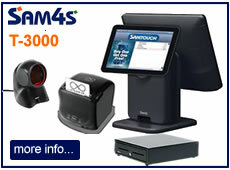 Our best EPoS solutions for newsagents and CTN outlets include all the components you require to setup and operate your business including receipt printer, barcode scanner, cash drawer and EPoS application software are all included. 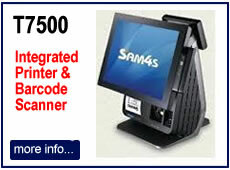 Optionally add mobile scanner, dallas keys or external A4 document printer. We can setup your products structure for newspaper, magazines, groceries, tobacco, soft drinks, confectionery, stationery and other items that you sell. We also offer remote training as well as on-site installation / training all over the UK as part of our service package. Our systems are designed to handle conventional EAN/UPC and ISBN barcodes as well as the ISSN barcodes found on newspapers, magazines and journals to distinguish the issue of the publication. 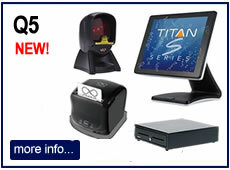 Our till systems for newsagents offer a wide range of features suited to the different types of newsagent businesses. Please note that not all features are available on all our systems - check the specification of your intended system if you require a particular feature. With our Windows-based newsagents solutions, we can also offer optional Newspaper Round software. This newsagent software automates and helps you manage all aspects of newspaper and magazine delivery and billing. It operates independently of the main EPoS software, but can be run on the same touch screen terminal or any other PC or laptop with internet access. The software also has the ability to import your delivery files from Smiths News linked with the Connect2u system. Prices start from £250+vat for an annual subscription for this web-based service from our associate solution provider. With most of our retail till systems for CTN businesses, you can opt to print either a mini receipt, an A4-size invoice or both. This gives you flexibility depending on the type of transaction. For example, on small low value cash sales, you may wish to print a mini receipt. But for trade customers, account customer or high value transaction you may wish to print an A4-size Invoice. You can determine how many copies of invoices / receipts to print, you can re-print duplicates and also print Credit Notes and refund receipts. With our advanced newsagent epos systems, it is possible to program in special deals, promotions and other discounts for automated price calculation. It also allows for mix and match offers such as "Buy 1 get 1 free", or "Buy 3 for £5" and "Buy any sandwich, crisps and drink for £5" type of offers. Friday 19-April-2019 23:43 Our office is currently closed. We will be open again from 10am tomorrow.